I have a friend with mental illness who thinks that “the powers that be” intentionally shut certain people down by making them go insane. My friend thinks this when my friend is healthy. I want to think a bit about paranoia: its psychological causes. I have delved into the literature on paranoia and psychosis in general and found it, quite honestly, unsatisfactory. I propose that paranoia, in at least some cases, is caused by subliminal or unconscious (as in, subconscious) threats. Then, when these threats come to the fore, they bring with them out-of-control beliefs that constitute what we know as paranoia. Take, for example, a person who is living their life in academia (to take an example I am familiar with). This person, we presume, has the right to academic freedom, a subset of free speech. This person–call her Sally–creates academic articles that are transgressive to current political understandings. They, theoretically, undermine the whole of a nation. Sally goes on with her life. It’s just an argument, after all. Possible implementation is for someone else. Thus, Sally herself is no real threat when it comes to overthrowing a government. Years after creating her argument–that is, her academic paper–she starts to become psychotic, triggered by something. Suddenly, she thinks the government in many ways, shapes and forms is out to get her. What has happened here? Sally, who isn’t a threat, knows that her ideas could possibly overthrow the government if put in the right hands. But Sally herself was simply practicing free speech. In her psychosis, however, Sally knows she isn’t a threat, but she thinks other people are out to get her, anyway. She believes this because she knows that the assessment of threat has been imperfect in the past. Now, Sally is fully paranoid. Buried within Sally is the unconscious idea that her own thoughts may be used against a government and, explicit to her, is the belief that this government is now out to get her because of it. Sally has a false belief. No one is out to get her. Panic and fear arise in her, however, because she intensely believes she is being persecuted. This is what I think of as the landscape of paranoia. Only time will tell if my understanding is correct. UPDATE: Here’s an account of a psychiatrist who experienced paranoia, which bolsters my view. And this patient/doctor recovered! I care about truth. That’s truth with a lower-case ‘t’. I care about it a lot, honestly, which is why I’m concerned that some people have begun to make an idol out of Truth (with a capital T). During the linguistic turn in philosophy, we learned a lot can be gleaned from looking at how we use language. These days, it is common for folks to try to smack each other around in debate with Truth, while not particularly caring about truth. I use ‘truth’ in the ordinary language sense here. Like Wittgenstein, I’m fond of ordinary language. And I use it in a pragmatic way; truth is something that happens to an idea. I’ve been witnessing people bash each other over the head with Truth, making an idol of it and trying to score points with it. Truth is not for point-scoring. It’s a good in itself. Some, like Berit Brogaard, argue it’s the highest good. I tend toward value pluralism, so I don’t know that truth is the highest good. But I do know it is a good and had intrinsic value, whatever its instrumental value may be. When we make an idol out of Truth, we lose–even if it ends up we win the argument we are having. Philosophy Is Dead! Long Live Philosophy! Stephen Hawking said at Google’s Zeitgeist conference that philosophy is dead. Hawking said that philosophers (who, ironically, developed science) haven’t kept up with recent developments in science. There are certainly particular philosophers who haven’t kept up with science relevant to their area. However, there are top philosophers of physics who know about the work being done in experimental physics. To boot, when I took metaphysics, I learned about theories in physics. What’s more, when I was a graduate student, there was a whole hot, new area called Experimental Philosophy, which includes both traditional philosophy and experimentation. And I certainly got doses of science in my moral psychology courses, for example. There is tons of research in recent years drawing upon work in social psychology, cognitive psychology, situationism, and more. In fact, a few months ago, I spoke with a philosopher delving into the literature on situationism. I think Hawking needs to reach out in order to gain an interdisciplinary approach–an approach I have always appreciated and undertook. Philosophy and science can interact well together. And, after all, philosophy gave birth to practically every area of study. So, let’s not throw it out just yet. Author Jennifer LawsonPosted on January 10, 2018 January 10, 2018 Categories Academia, Academic Philosophy, Academic Work, Philosophy, Physics, Stephen HawkingLeave a comment on Philosophy Is Dead! Long Live Philosophy! I am not a great philosopher, and I care little to be one. But I sometimes have good sense, and I always love the truth. This year, with the release of my book, I said my farewell to philosophy and academia. Do You Have a Favorite Philosopher? Perhaps I shouldn’t say “favorite.” Maybe a philosopher you’ve spent a lot of time reading. I have to say that the philosopher I spent most time reading and trying to understand is Kierkegaard. I don’t want to get into politics or religion here necessarily, but there’s no way to really understand Kierkegaard without understanding Christianity. Now, one doesn’t need to be a Christian in order to study a Christian thinker, which Kierkegaard was. I learned about Kierkegaard for the first time in Introduction to Philosophy, where we read Fear and Trembling, and then further in an undergraduate seminar on existentialism. That seminar, taught by a Kierkegaard expert, did manage to divorce Kierkegaard from Christianity by focusing mostly on Kierkegaard’s existential ideas. After that course, and with help from the experts at Stetson, I studied Kierkegaard on my own. He is a difficult philosopher to understand because of his various pseudonyms, editors, and the like, who are found all throughout his work. One thing seems clear, however. Kierkegaard seems to have thought it was not possible to make an argument for the existence of God. At the time, there were many thinkers who were trying to get at some-kind-of-Truth (capital ‘T’). Kierkegaard was very much against those projects. He seems to have thought that God can only be known by faith–making a leap to faith. But leaping to faith is itself an act of faith, which Kierkegaard was well aware of. He describes this in detail in various books and essays. Kierkegaard was also very much concerned with Christian ethics. This is something I was reading about recently, as my specialization is in ethics. Kierkegaard thought that internal devotion was as important as outward displays. In other words, “Christian acts” are not the only thing one should be doing. One should also be internally aligned with God. This is because we can act for show, or for many other reasons. Therefore, acts of love (for lack of a different term) are not sufficient for being a Christian, though they are important nonetheless. Kierkegaard heavily emphasized the individual and her relationship with God. So acts and internal states are both necessary for being a Christian, which was one of Kierkegaard’s central problems; How to be a Christian in Christendom. I have found much of Kierkegaard’s writing edifying. I suggest, for an edifying discourse, to read his Works of Love. And, of course, Fear and Trembling is to be read in order to grasp one way of understanding the dilemma Abraham faced when told to sacrifice Issac. Author Jennifer LawsonPosted on November 21, 2015 November 21, 2015 Categories Academic Philosophy, Favorite Philosopher, Kierkegaard, Philosophy2 Comments on Do You Have a Favorite Philosopher? Today is World Philosophy Day. The U.N. put out a statement regarding the celebration of this day. I studied philosophy for several years, and still keep active in the field by being on the editorial committee of an academic journal. He said this when we were discussing the definition of philosophy, which is an endeavor itself. But I remember thinking that, if philosophy encompasses everything, that’s the major for me! And, it’s true, there is a philosophy of everything. I was extremely lucky to have had a great undergraduate thesis advisor. She allowed me to pursue my passion in indigenous studies. I got an A on my project, and, when I graduated, she gave me a gift. I drink a lot of tea and coffee. 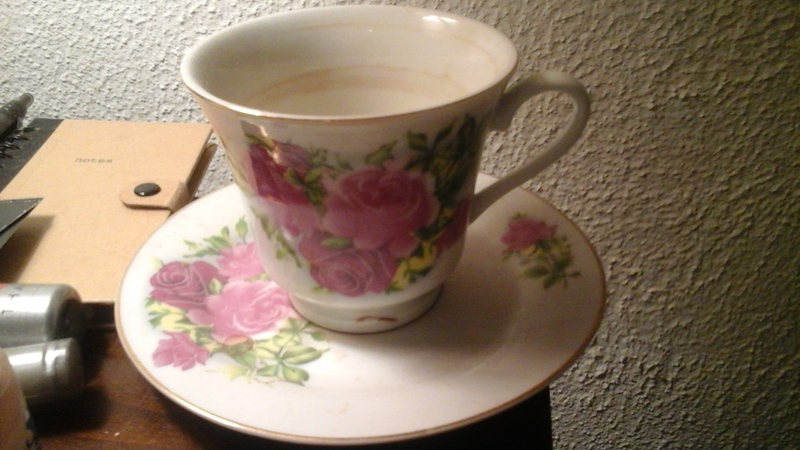 Luckily, she gave me a beautiful cup. 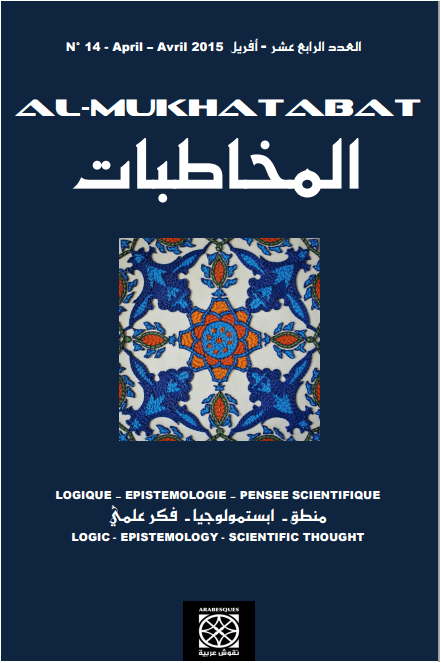 I am currently on the editorial committee of Al-Mukhatabat Journal. This quarter’s edition was recently released. I edited the English entries in the journal, including the work of Hilary Putnam, and Colin McGuinn. As many who know me know, I worked in academia for quite some time. In fact, I still do. I am on the editorial committee of an academic journal. But that’s not all. I am also on Academia.edu. This is a great site in which I can follow academic topics I am interested in. I can also follow the work of people who inspire or provoke me. I have uploaded some of my academic work there, and will do more in the future. If you are an academic, I encourage you to go to Academia.edu to see whether you would like to set up a profile. If you do, let me know. I will follow your work. I am interested in most everything.